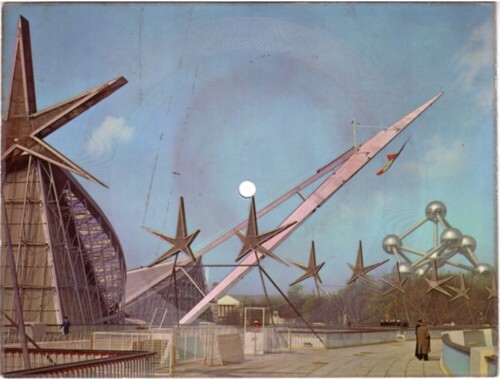 …and a 45 with the ”Marche de L’Atomium” , played by the Grand Harmonie de Bruxelles. on the subject, and somebody who’s name I cannot remember (sorry, whoever you are!) 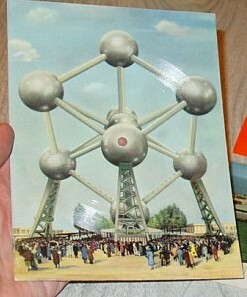 send me a picture of another Singing Postcard featuring the Atomium. Three reactions is not a bad score, but I still have not heard any other Atomium-*song* apart from the 45 in my collection. 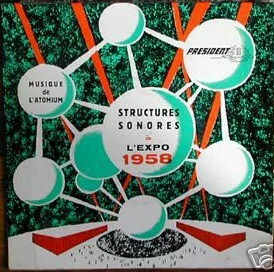 And that is not the kind of music that I have in mind when I look at pictures of the Atomium! Thankyou for the Decca Records single information. 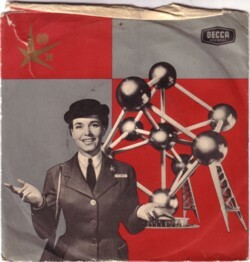 I visited the Atomium last weekend and I took a picture of that record. Where could I ear this music? The link doesnt work. Thankyou. @Jam: i revived the music link, so you can now hear it. But maybe think twice before you do!